Frank Botta, Chair of The Lynch Law Group Transportation Practice, joined a distinguished panel of speakers from across the country to address a variety of topics of interest to transportation attorneys at the Alternative Dispute Resolution Boot Camp, offered by the Transportation Lawyers Association at the Chicago Regional Seminar on January 24-25, 2019. Botta’s presentation, titled Preparing For and Presenting Your First – or Your Hundredth – Arbitration was a comprehensive overview of the many elements to be considered in preparing for a successful arbitration. 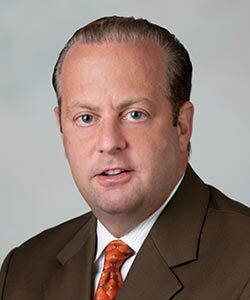 Frank Botta has extensive experience in counseling local, regional, national and international clients in logistics, supply chain, transportation operations, labor and employment, and general commercial litigation matters. He is a trained mediator with the U.S. District Court for the Western District of Pennsylvania and an arbitrator with the American Arbitration Association and FINRA. He has served as the Management Chair of the American Bar Association Labor and Employment Section, Alternative Dispute Resolution Section. For More information, he can be reached at fbotta@lynchlaw-group.com or (724) 776-8000.